One of a Kind Opportunity at Valley Hi Condos! 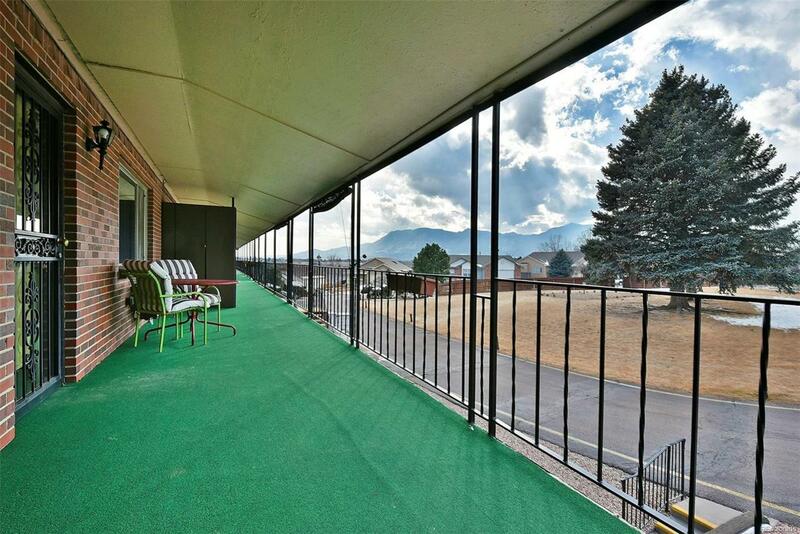 Great Upper Floor Mountain Views and the Largest Fully Enclosed Basement Storage Room in the entire community (Approx. 800 square feet!) Step inside to brand new wood flooring that wraps into the kitchen, with new countertops and new tile backsplash. Super Clean and move-in ready, with a large front patio area with extra storage cabinet. Enjoy a bonus basement storage unit in addition to the giant storage room. Conveniently located to shopping... Easy access to I-25, Academy Blvd and Powers Blvd.